Williamsport, MD – William E. “Bill” O’Hara, 84, of Williamsport, MD passed away on Thursday, January 17, 2019 at Doey’s House Hagerstown, MD. He was born on June 22, 1934 in Frederick, MD to the late William Elwood O’Hara, Sr. and Mary Margaret Staley O’Hara of Halfway, MD. He was a 1952 graduate of Allegany High School of Cumberland, MD and a graduate of Frostburg State University with a Bachelor of Science Degree in Education. Bill was a veteran of the U.S. Army. He was employed with the State of Maryland for 28 years retiring in 1991. He served as a Maryland State Policeman and obtained the rank of Sgt. Before being promoted to the office of the Secretary, Department of Safety and Correctional Services. He was then appointed Assistant Executive Director, Police and Correctional Training Commission. After that he was appointed Executive Director of the Criminal Injuries Compensation Board, and was subsequently appointed Assistant Director for Administration of the Division of Parole and Probation. 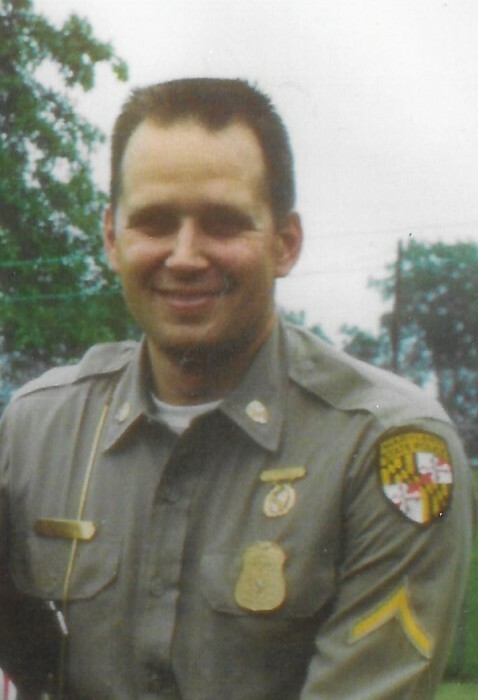 Bill was instrumental in implementing the First Maryland State Police Operations and Training manual while he was with the Planning and Research Division of the Maryland State Police. He was a born again Christian. Bill enjoyed Marching Band music and was a Classical Cornetist. He was a fan of John Philip Sousa. He was a member of the Bob Hoe Organization and the State Police Alumni. Bill loved trains and was an avid Rail fan. Besides his mother he is survived by his wife Judy A. O’Hara whom he married September 1, 1960; son Timothy O’Hara of Williamsport, MD; sister Mary Ann O’Neil of Cumberland, MD; sister Patricia Wolfe of Clear Spring, MD; brother Michael O’Hara of Halfway, MD. Funeral services will be held at Osborne Funeral Home 425 S. Conococheague St. Williamsport, MD on Friday, January 25, 2019 at 12:00 (noon) with Rev. Dean Pryor officiating. Interment will be in Greenlawn Memorial Park Williamsport, MD. The family will receive friends 1 hour prior to the service on Friday from 11:00 am – 12:00 (noon). The funeral home will be open after 9:00 am on Friday for the convenience of family and friends.